Came across this oddity on eBay. 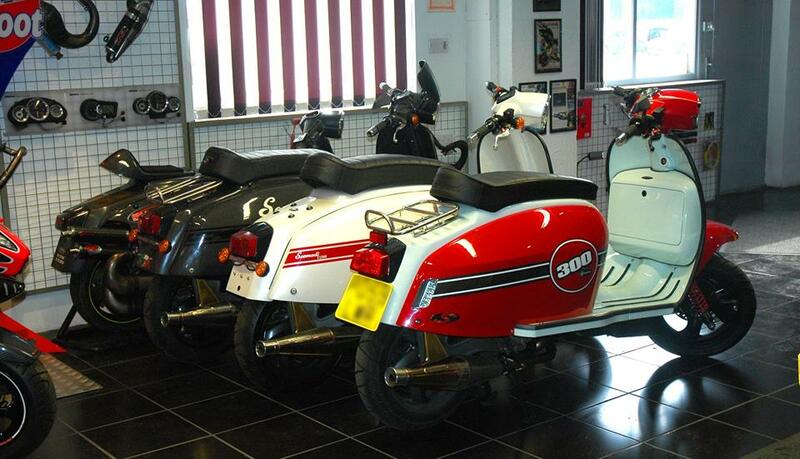 We all know SIL made Lambrettas after production stopped elsewhere. Known in the halycon days when you could pick up an Italian S2 for £50 as “curryburners”, today Indian Lammies are just accepted as part of the mix. 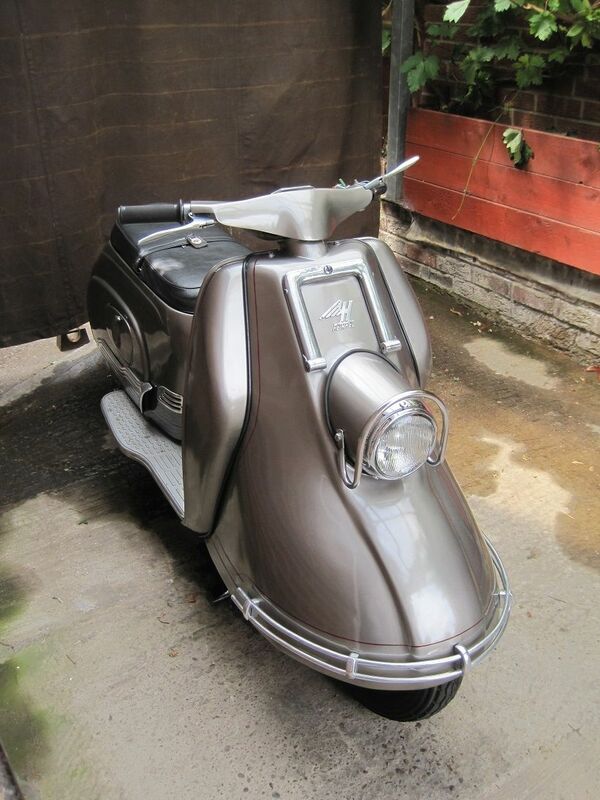 There were other Lambretta based oddities like the Lamby Polo and Kelvinator Avanti, both featured on the blog before. 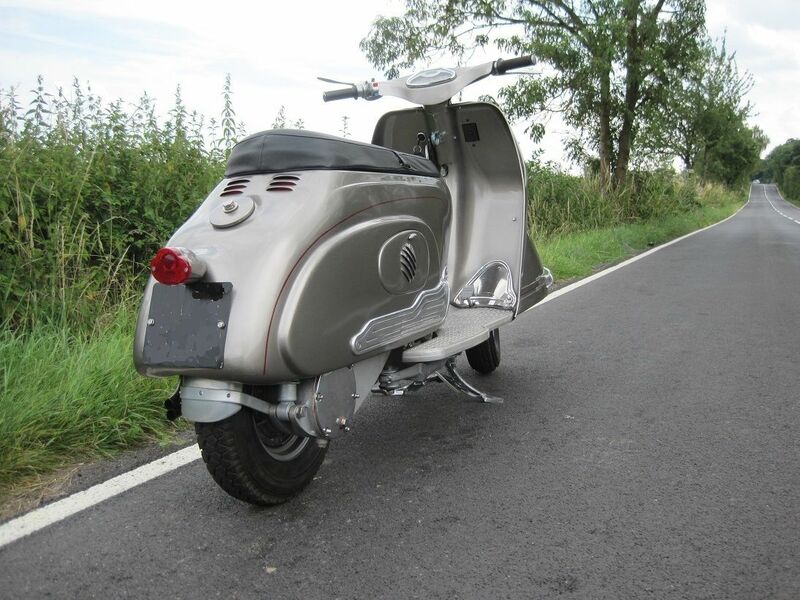 But here’s a new one on me, the SIL Lambretta Sunny. Looking like a Cento with a SX / Serveta style headset, a grotesquely oversized seat and the ugliest horncasting that’s ever been bolted to a scooter it would be a real talking piece. 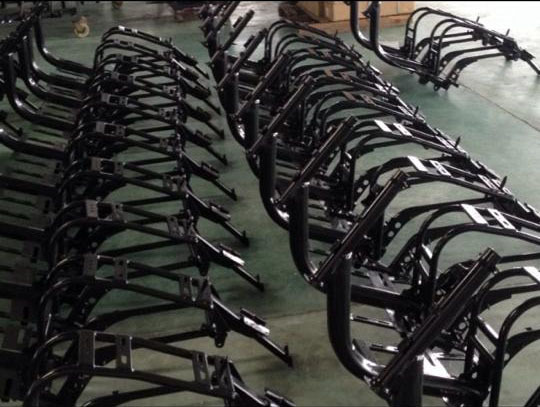 I like the kickdown rear footrests… although they’re branded Bajaj (the Indian company who made Vespas under licence) so I guess they’re an aftermarket addition. It’s available on eBay for a smidge under £800. Here’s the eBay link. If you fancy something a bit prettier, and more, er, Italian, for about the same money (£100 cheaper actually!) There’s this J50 Delux. 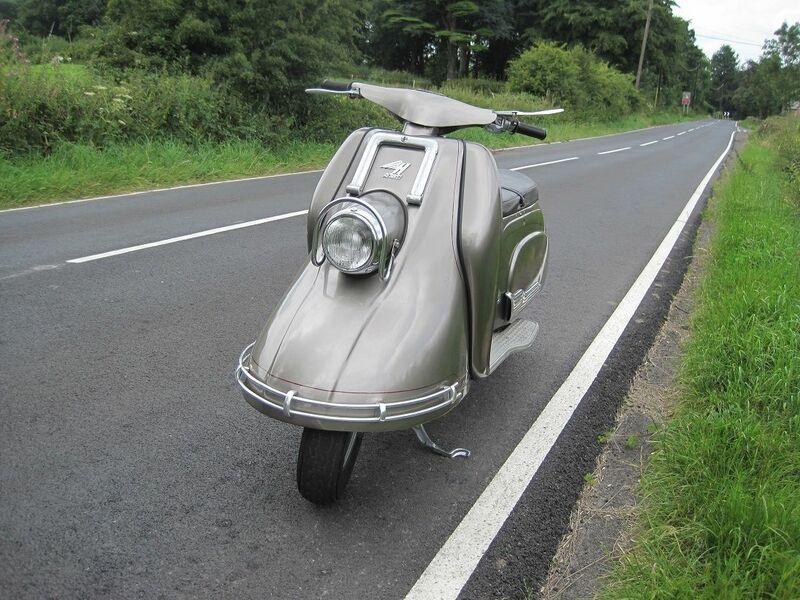 It’s got 50 less cc’s but it is in what’s probably my favourite Lambretta colour, Mela Verde (or Apple Green). You’ll need to be a bit handy with the spanners, because although it seems to be complete, it’s in bits. Here’s the link for that one. After yesterday’s electric Mogan three-wheeler, and with continuing dire warnings of an impending 2Stroke ban, I thought I’d continue the theme with this funky little electric scooter. 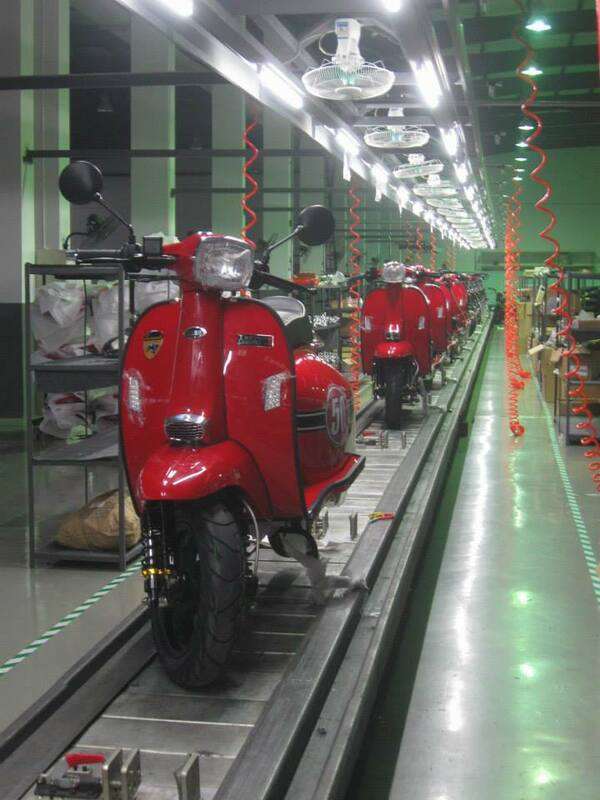 Electric scooters are now pretty commonplace, but most are blandly generic, cheap and Chinese. It’s innovation that sets the ME electric scooter apart. 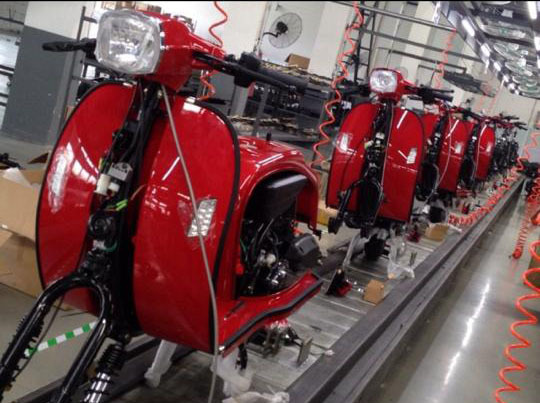 Designed by a group of Italian engineers – it’s back to basic aesthetics are reminiscent of the early open-frame Lambrettas. Rather like the FIDO I featured a on my previous blog, and the Dutch Q scooter that was at EICMA in 2013. Constructed out of Sheet Moulding Compound, a sturdy composite material that offers structural support, the ME is a cost-effective, lightweight alternative to its metal counterparts. The ME is fitted with a lithium-ion battery, with a range of 80 km, fine for a daily commute (especially if you can plug it in when you get to work!) 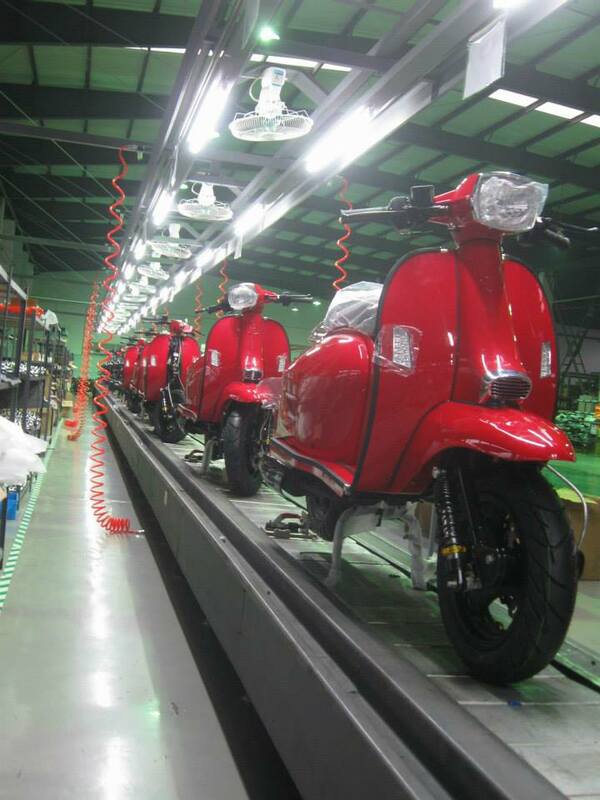 Its electric motor takes the scooter from zero to 45 km/h in six seconds. 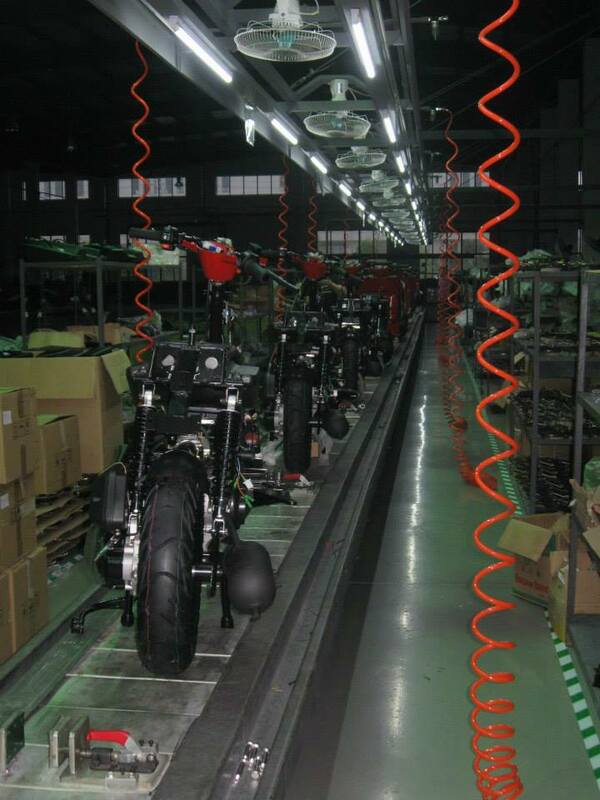 Support the project by visiting the ME electric scooter’s crowdfunding page. 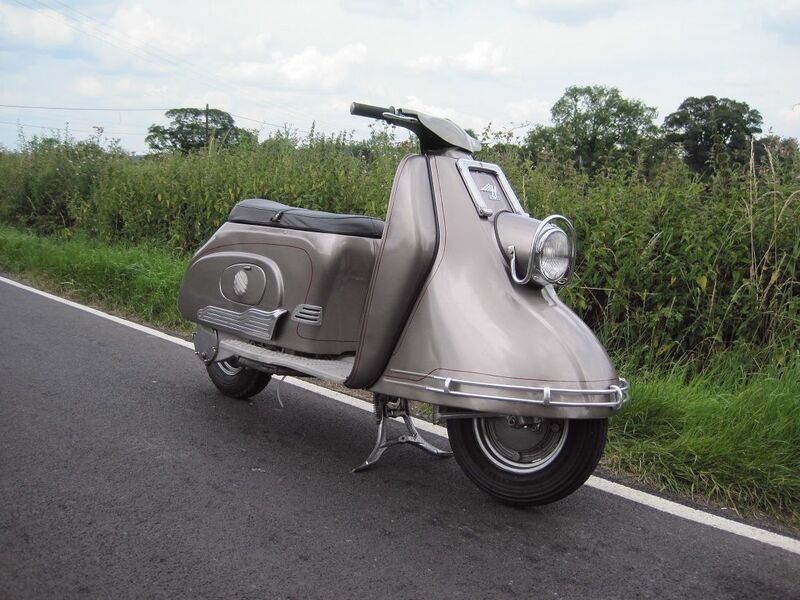 With the promise of ” A New Lambretta” in May… and all we know is the model name “L70” could we expect an electric Lambretta? To be honest, I doubt it. I think we’ll get a reworking of the LN, with a four-stroke engine in 125, 150 and maybe 200cc’s. But I’m only guessing, I haven’t heard anything! 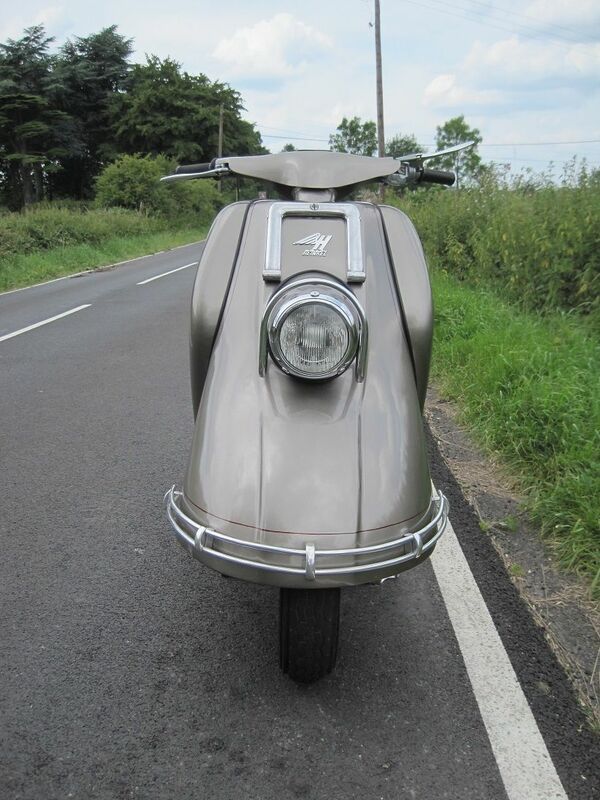 Jim from the Lambretta club of South Africa sent through some fantastic pics of their 2015 Afrophenia 2015 tour, which took place in September last year. Knysna, Oudtshoorn, Barrydale, Hermanus, Stellenbosch and finally Cape Town. The distance covered was approximately 700 miles or 1200 km’s, over a ‘leisurely’ 9 days… an epic trip, with awesome scenery, great mates and memories that will last forever. The pictures and video will give you some idea of what they experienced. 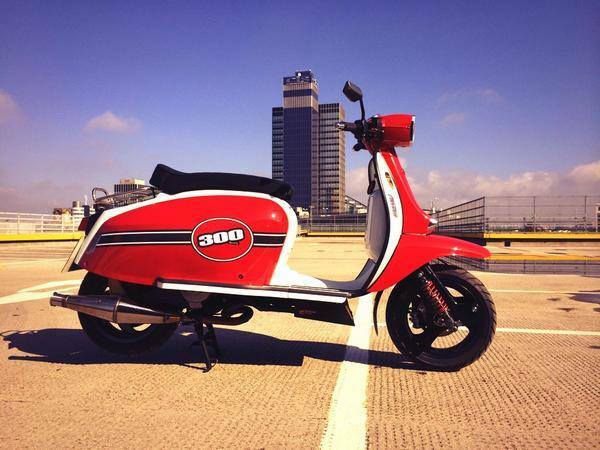 If you didn’t want a Scomadi before seeing this video, you probably will after. The section where the Scomadi rides alongside the GP is genius, you can make a really good comparison between the two Marques, and see just how much GP DNA there is in the Scomadi bloodline. It sits a little higher than the Italian original, and lets be brutally honest, it’s not quite as stunningly beautiful, but it comes pretty close. I’m sold. The video was created by Paul “Woodsy” Wood of Manchester Lyons SC. Long time readers of the blog might remember his excellent video of Eurolambretta 2013 Avignon, and his scooter photography. If you haven’t seen them, click the relevant links, cos you really ought to. 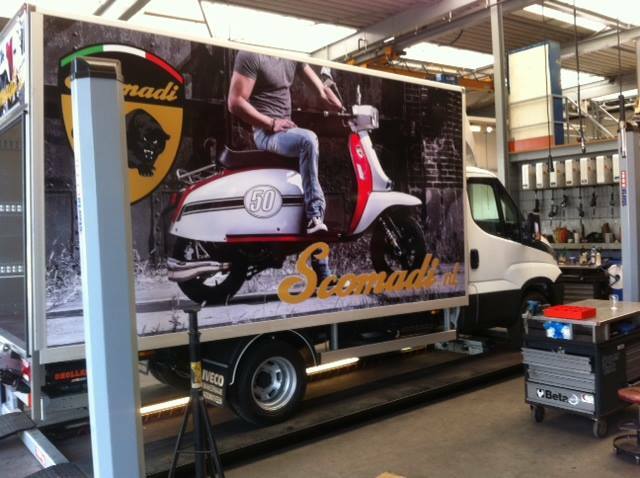 But If, having seen this video, you want to stop fitting about on this blog and just buy a Scomadi, you can register your details here.